As the hundreds of thousands of Americans who have traveled to Cuba so far can attest, Cuba has a long track record of being one of the world’s safest travel destinations in all respects. In great contrast to many other countries in Latin America, Cuba enjoys some of the lowest violent crime rates in the entire world. There simply does not exist a culture of violence in Cuba as it does in other countries. Cuba’s government strictly and successfully controls the possession of illicit drugs and firearms, making them virtually non-existent among the general population. 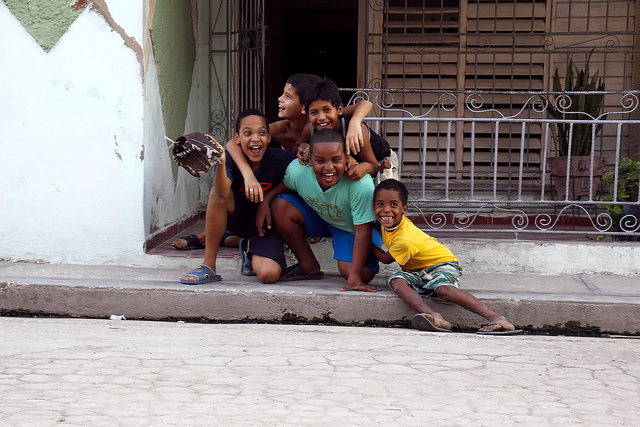 There is no gang violence in Cuba. Furthermore, Cuba is not a war-stricken nation, nor is it prone to civil unrest. As for simpler issues such as food, water, and transportation, Cuba’s food and water are generally safe for those who take the same standard precautions as they would anywhere in the world (such as drinking bottled water and eating at reputable establishments). Although some of Cuba’s roads are in disrepair, the means of transportation in Cuba are also generally safe. But what about all of the old cars, you might ask? Can you ride in those, too? Yes, you can, and should! Cruising down Havana’s seaside boulevard in a 1950’s Chevy convertible will be one of the highlights of your trip! Because resources are so scarce in Cuba, vehicles are prized possessions and their owners are meticulous in their upkeep. And because every vehicle on the road is someone’s prized possession, this makes Cuban drivers much more cautious, as you might imagine. “But what about the sonic attacks?”, you might ask yourself. A travel warning was issued due to the sonic attacks experienced by U.S. and Canadian diplomats and their families in past months. The Cuban government has reiterated its commitment to collaborating with the United States to put an end to the attacks and the FBI is currently investigating it. The U.S. State Department said there have been zero confirmed cases of injuries to the hundreds of thousands of tourists (including American’s) who have visited the island in recent years. The Cuban government has also conducted extensive testing on the sites of the attacks and the Cubans who live in the vicinity, and no issues have been reported. Thus, despite the State Department warning for Americans traveling to Cuba, travel to Cuba is still legal, and Cuba remains one of the safest travel destinations in the world, and of tourists from all over the world are continuing to travel to Cuba and experience this wonderful island. It has a dual currency system.